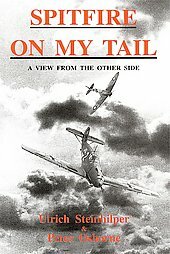 It is easy for aviation enthusiasts to appreciate any or most books written about aviation history. This is because any new work that sheds attention on aviation’s yesteryear and its current development is enough to excite their curiosity. 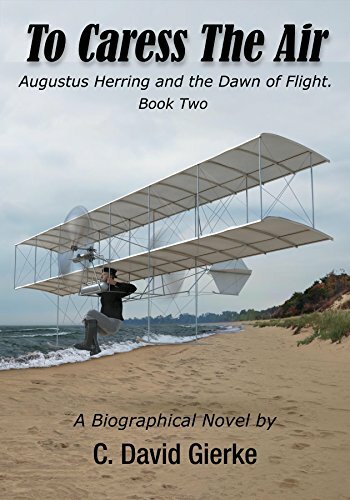 For this reason, reviewing books on aviation is different and perhaps a sincerer form of writing than reviewing other kinds of books. Aviation enthusiasts retain a youthful glee for airplanes and flight. This is partly because aviation has touched and inspired the lives of aviation buffs, often as young persons. 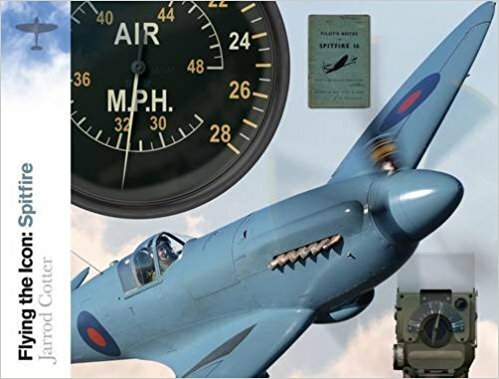 It makes perfect sense to suggest that aviation enthusiasts should review aviation books, especially in light of the many technical specs that aircraft pose for those who try to understand and appreciate one of man’s greatest machines. I am reminded of the British writer Kingsley Amis’ quip that book reviewers should review books that they actually like. Otherwise, writing can become strained as a mechanical chore that diligent readers easily detect. 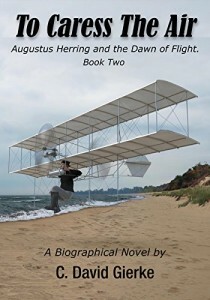 Aviation enthusiasts who review books often find it not so important to distinguish between writing about the airplane that is the subject of a book and reviewing the book itself. 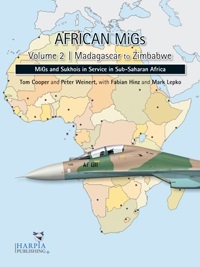 In this case, reviewing books about aviation is a delightful and rewarding experience. Osprey Combat Aircraft book series from Osprey Publishing is truly a pleasure to read and study. They highlight military aircraft in battle. However, these formidable books are much more than just about airplanes. In reality, this is a well-researched and competent history book series that sheds light on aviation history, engineering and the human spirit. The series evaluates airplanes according to their ability to execute the role for which they were created. 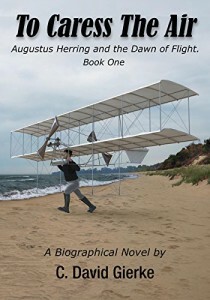 What is interesting about this book series is the stories of the pilots who flew them and those who maintained the aircrafts. This series of books educates readers about aviation history and about the nature of war – what more often than not – is the struggle of democratic nations to fend off aggression from tyrannical governments, as is evidenced by communism well into the twenty-first century. 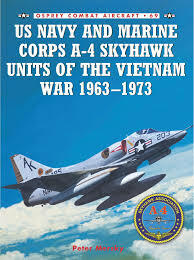 U.S. Navy and Marine Corps A-4 Skyhawk Units of the Vietnam War by Peter Mersky is another of the fantastic works that makeup the vast lineup of books published by Osprey Publishing. Ed Heinemann (1908-1991) designed the A-4 Skyhawk. Heinemann also designed the A-3 Skywarrior and the A-1 Skyraider, among others. He became Douglas Corporation’s Chief Engineer in 1936. The U.S. Navy wanted a small fighter/attack airplane to replace the single-prop A-1 Skyraider. Heinemann understood the Navy’s request for a nimble and lightweight aircraft for their aircraft carriers. 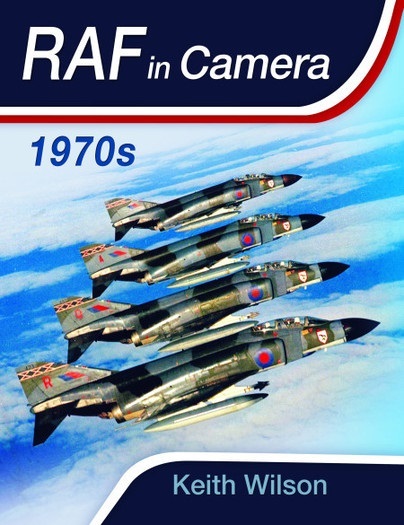 The A-4 was just that. With a maximum takeoff weight of 24,500 pounds, the airplane didn’t even need to fold its delta wings on deck. The versatile A-4 fighter/attack airplane had a top speed of 670 mph. The A-4 served its role with the U.S. Navy until 1967, when the LTV A-7 Corsair II substituted it in large part. The U.S. Marine Corps put the A-4 into service in South-east Asia in the early 1970s to serve in the role of low-level support. The U.S. Marine Corps received its first A-4A in 1956. The A-4M was created for the Marine Corps. The Marine Corps built a base in Chu Lai in 1965. The base was located 55 miles south of Saigon. The 8,000-foot runway was damaged by monsoon rains, which forced A-4 pilots to operate using only 4,000 feet until the other half of the clay runway was repaired. This necessitated the use of JATO (Jet-assisted take off) bottles. Chu Lai base closed in July 1970. The remaining units were transferred to Da Nang base near Saigon. The mission of the A-4, nicknamed “hot rod,” was to fly into areas heavily defended by surface-to-air missiles (SAMs) and strafe its targets. 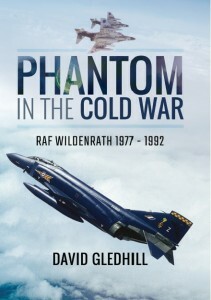 A big difference between the A-4 and the more “glamorous” F-4 Phantom II is that the F-4 engaged North Vietnamese MiGs. In addition, the A-4 was cheaper to maintain than the F-4 Phantom. The first Douglas A-4 prototype flew in 1954 and was formally introduced into service in 1956. 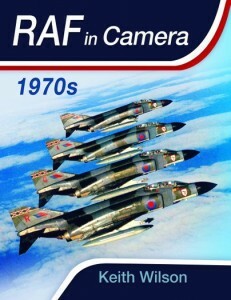 The aircraft was produced from 1954 to 1979. It also served admirably in the Yom Kippur War and Falklands War. The A-4 was active until 2015 with the Israeli Air Force. A total of 2, 960 A-4s, including trainers, were built.